I’ve been wanting to make an upside down cake for ages, any long term reader of my blog will know that I am a fruit fanatic. 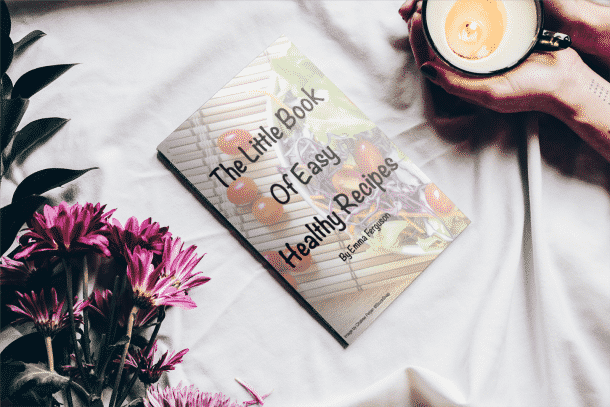 I have been since I was a child, and I will always try and find a way to add fruit to my recipes. As much as I love the traditional pineapple and cherry upside-down cake, I really wanted to share something different with you guys. And with the monthly peanut butter bash coming up and apples being the ingredient of the month I thought this would be a perfect pairing. 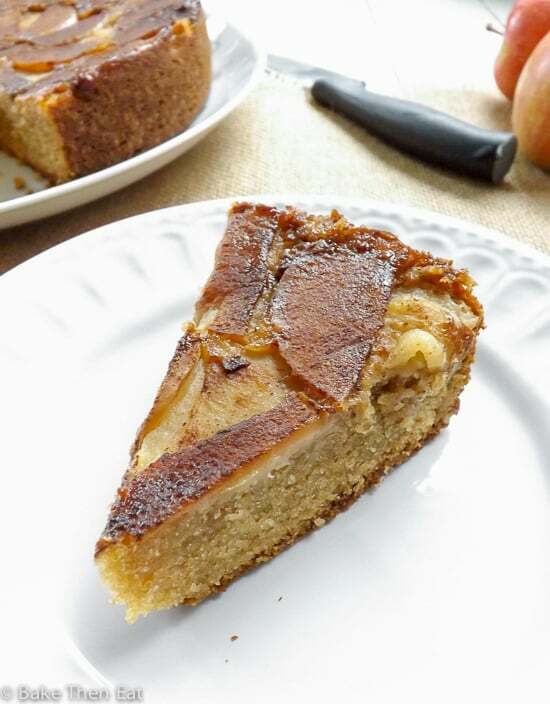 I used a sweet crisp small dessert apple for this peanut butter upside down apple cake, but you could always use something a little sharper if you prefer. To give this cake the peanut butter element I needed for the challenge, I lightly flavoured the sponge with peanut butter. I also added a swirl of peanut butter into the batter before baking. Both of these small additions gave this cake a gentle peanut butter flavour which intensified slightly when the cake was left overnight. Which is a bonus for a peanut butter lover like me. Have you ever baked with crème fraîche before? If not you should really give it a try. It really makes a cake wonderfully tender, moist and light. It has very similar properties to buttermilk and yogurt in a bake. If you are struggling to find crème fraîche then you can substitute it for the aforementioned buttermilk or yogurt. Finally, if you can use crème fraîche then do, you won’t regret it I promise. 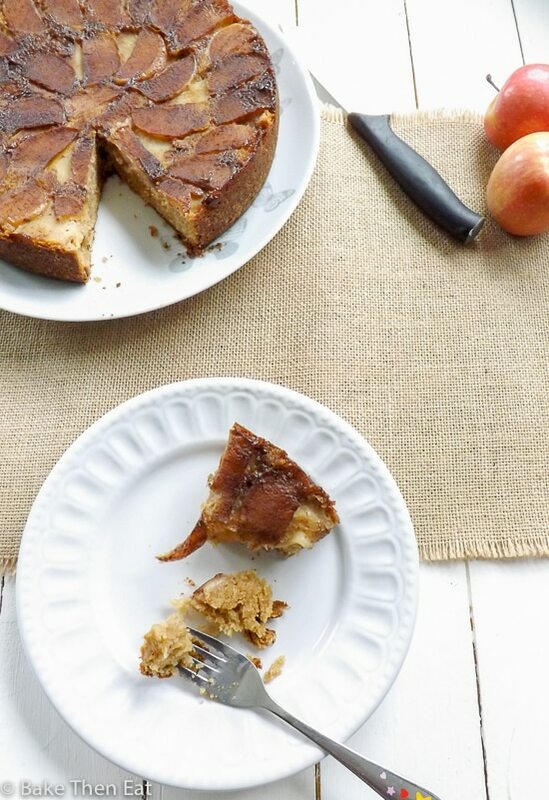 It really does help to turn this Peanut Butter Upside Down Apple Cake into something special. Peanut Butter Upside Down Apple Cake is the perfect bake to take you into Autumn with a dash of peanut butter on the side. Tender peanut butter cake toped with spiced caramelised apples. Servings: 8 -12 slices depending on size. Preheat your oven to 180C / 350F / Gas mark 4 and lightly grease a 9 inch cake pan and place a disk of parchment paper on the bottom and lightly butter the parchment paper. Slice your apples thinly and then cut your slices in half. To stop them from browning place the slices in a bowl of cold very lightly salted water. In a small bowl mix the dark brown sugar and cinnamon together, then sprinkle it all over the buttered parchment. Then place the apple slices in concentric circles over the sugar cinnamon mix. You should have enough slices for 2 thin layers. Place your cake tin to one side. In a medium sized mixing bowl mix the flour, baking soda, baking powder and salt together, then place to one side. In a stand mixer or in a large mixing bowl using an electric hand mixer cream together the butter and sugars until light and fluffy. Add in half of the peanut butter and mix until everything is well combined, scraping down the sides of the bowl as needed. Beat in the eggs one at a time, then mix in the vanilla. On a slow speed gently beat in half of the flour mixture. Then add the creme fraiche and gently mix it in then add the remaining flour mixture and mix until everything is combined. Pour the batter over the apple slices and smooth it out with a spatula. Lightly warm the remaining peanut butter in the microwave for 30-45 seconds. You want it to be runny not super hot. Spoon or drizzle be peanut butter over the cake batter and swirl it in with a clean knife. Pop your cake into your hot oven and bake for 45 minutes. Some ovens (like mine) are slower and your cake may require a little more time. To stop your cake from over browning place some foil over the top of the cake and bake for a further 5-10 minutes. After 45 minutes check you cake for doneness, if a pick comes out clean your cake is baked of not follow the above step. Leave your cake to cool for 15-20 minutes in the tin before turning it out onto a wire rack and gently remove the parchment paper then leave your cake to fully cool down to room temperature before storing it in an airtight tin. Kept at room temperature this cake will be good for 5-7 days. This Cake will also freeze well for 3 months. I used dark brown sugar in this recipe but you can easily substitute it with light brown sugar if that is what you have in your pantry.Creme fraiche can be substituted for buttermilk or plain yogurt. Do you want to join in the peanut butter bash fun? If you do, then leave a comment below saying you wish to join and we will get back to you. The deal is the first Thursday of each month we post a dish with peanut butter and one different ingredient to see what we can come up with. There is a Facebook group if you want to join in the fun but don’t have your own blog. The Peanut Butter Recipe Box. 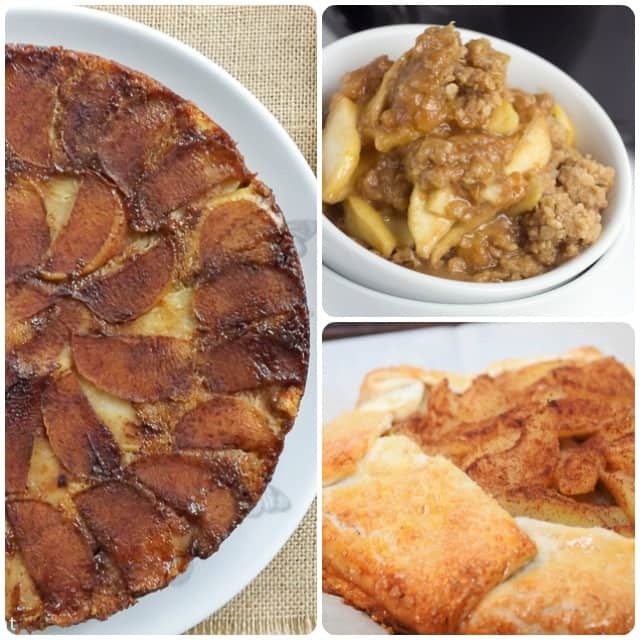 Here are the other peanut butter and apple recipes for you to enjoy. OH MY GOODNESS Emma, what a perfect combination of flavours this is. I love baking with apples and adding peanut butter to it is absolutely divine. I love this recipe. 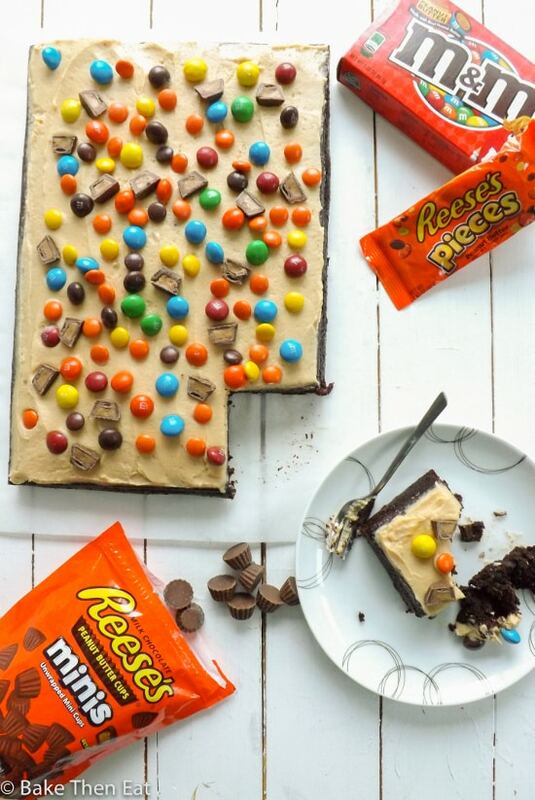 Definitely pinning and saving to bake for dessert this weekend! Peanut butter and apples just go together perfectly! And how fun is this cake??? What a beautiful flavour combination – love peanut butter but somehow I have never paired it with apples. I think I have missed out on something 🙂 Thanks for sharing this recipe, I have so many apples from our garden that I need to transform into nice sweet treats like this. this is amazing! i’m a big fan of upside-down cakes and i thought i’d seen them all, but no! peanut butter and apples are a great pair and what you’ve created must taste awesome! Wow this cake looks so moist and tasty. With a steaming hot cup of tea! Wow Emma! 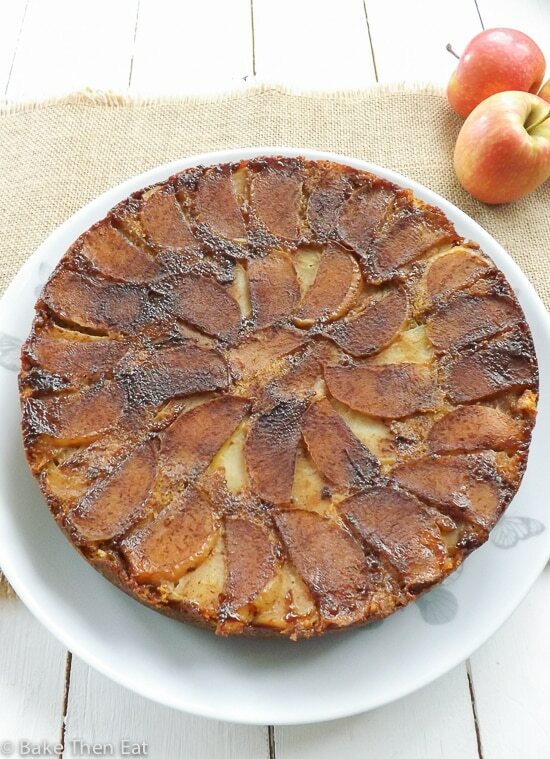 what a beautiful upside down cake, and the combo of peanut butter and apples sound delicious! An apple and peanut butter is one of my favorite snacks. I love that you made it into a delicious cake! 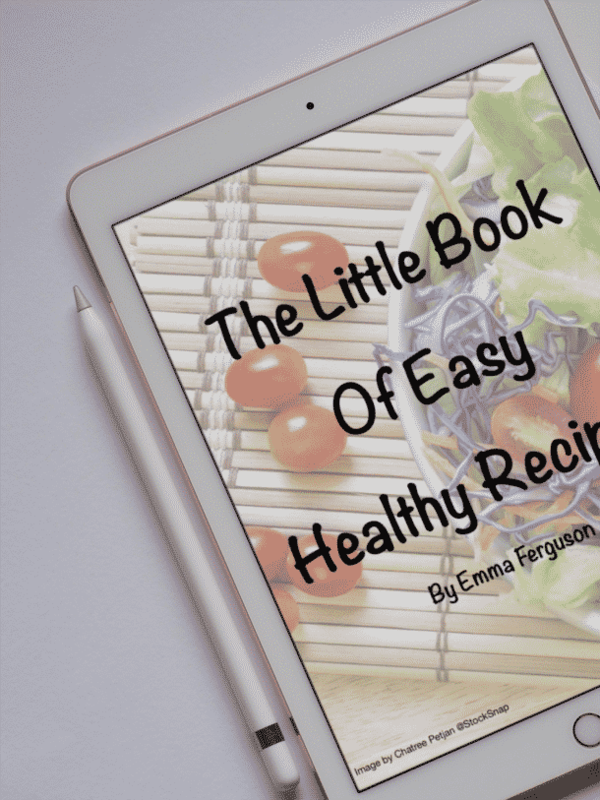 This sounds delicious, Emma! Well this is a GENIUS idea because WHO DOES NOT LIKE PEANUT BUTTER and APPLES together?!?!?! My thoughts exactly GiGi, the fact the healthy apples and PB is incased in cake makes no difference!!! Lol. So delicious! 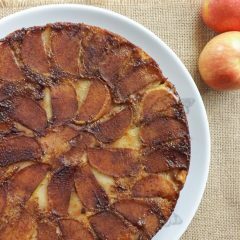 I’m a big fan of apple desserts and now I need to make an upsidedown cake!! You won’t regret it Liz, its a great way to enjoy apples. 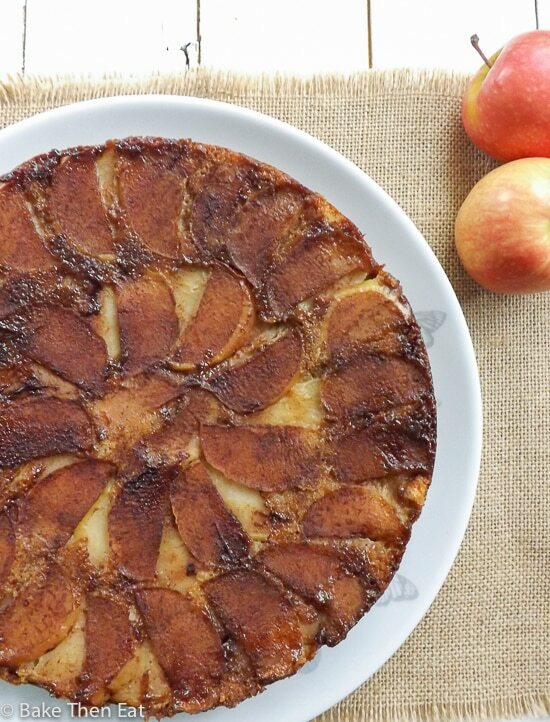 Love upside down cakes and this apple one looks so pretty and delicious Emma. I bet peanut butter must have added a great taste to this. Yum! Not only do these flavors sound delicious, but what a beautiful cake! This looks so amazing! I love tarte tatin with caramelised apple so I can imagine how good this is with peanut butter. Yum. Heavenly! 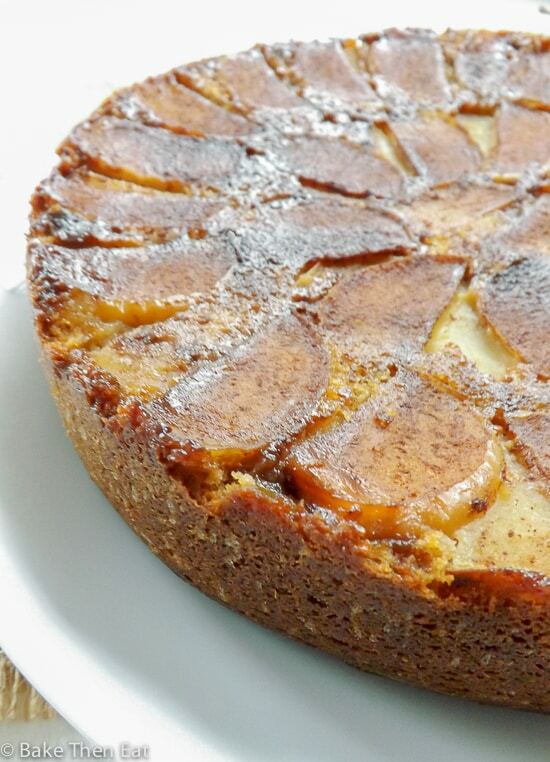 I love upside down cakes…the extra brown sugar and cinnamon at the bottom makes it even more tempting!